TomTom has officially announced the Spark 3, the successor to the Spark adding a redesigned strap and the ability to view routes on the watch. Building on the first Spark, TomTom has stuck with the same design adding a thinner, softer touch strap that should make it more comfortable to wear all day and ensure the optical heart rate sensor is in close contact with your skin. 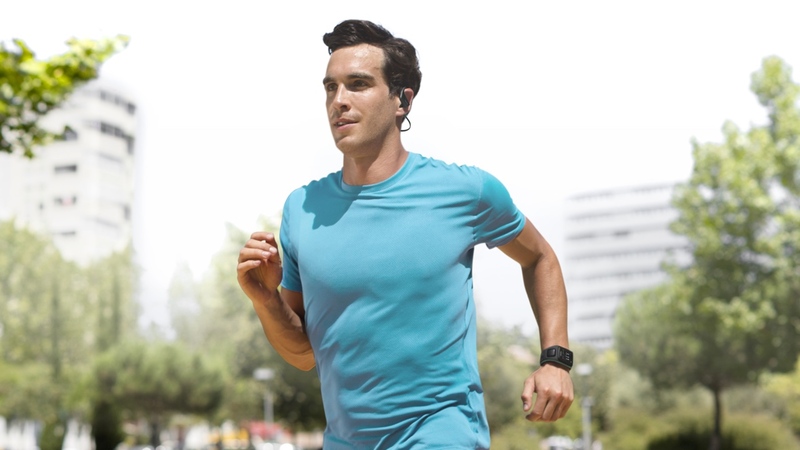 You'll still benefit from the satnav maker's GPS tech, 24/7 activity tracking and there's still a 3GB music player with a redesigned pair of Bluetooth headphones now available to stream music wirelessly from the Spark 3. A compass has now been added that alongside the GPS now enables route tracking. That means you can upload GPX files to the watch and view routes i two different views to make sure you don't get lost out on your running adventures. Data can be viewed as always in the TomTom MySports app with the usual integration support for the likes of Strava, Runkeeper and MapMyRun. You can expect battery life to be around the same 12-13 hours as the Spark in GPS mode, although switching off some of the sensors will keep things going longer. It's going to be available with a host of different coloured straps as well if you want to mix things up. The Spark 3 will be available in the same variations as its predecessor with pricing starting at $119.99 going all the way up to $249.99. You can order it now from the TomTom website and we hope to have our hands on one soon for a full review.